You seem like a curious and skeptical fellow, two qualities I greatly admire. Allow me then to answer your questions individually, in the order you posed them. 2 & 3. Yes, I’ve been in unions. Currently, I’m a member of SAG/AFTRA. Thus, I support the right of any worker to join whatever guild or group suits them. But I also support an individuals decision to go it alone. For this reason, I don’t believe unions are “always good” or “always bad.” As with many other well-intended remedies, I think unions sometimes come with unintended consequences. 4. Yes, I’m working now. I have a show called Somebody’s Gotta Do It on CNN. We’re in the fourth season, though I can’t tell you precisely when it will air. 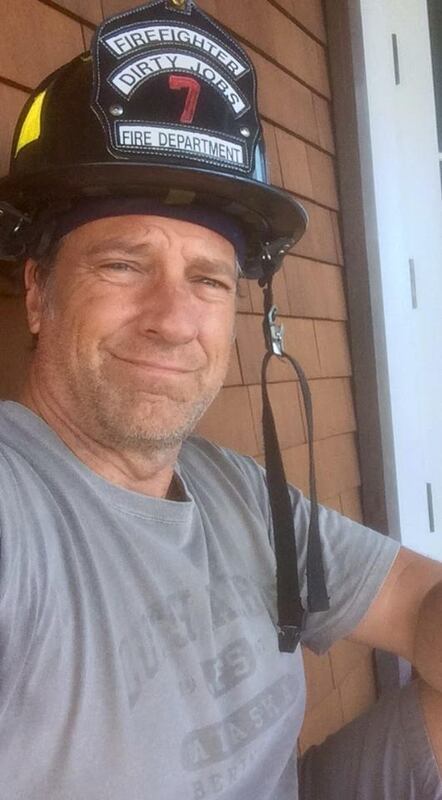 (Something about an election grabbing all the headlines…) I’m also the CEO of mikeroweWORKS, a foundation that awards work-ethic scholarships to aspiring tradespeople. Prior to that, I hosted a show called Dirty Jobs for The Discovery Channel. 5. Yes, I’ve been laid off before. In fact, I’ve been fired from just about every job I’ve ever had, and I suspect I’ll be fired from whatever else I attempt to do in the future. In my industry, the vast majority of professional performers spend more time looking for the next gig than actually working. This is because my particular trade is not impacted by a skills gap. Thus, the opportunities available to a hard-working and talented actor are extremely limited. Whereas the opportunities for a hard-working and highly skilled welder are anything but. 6. Yes, I can see that you’ve questioned my credentials. But I’m curious – why didn’t you apply the same skepticism to your underlying assumption? If you don’t mind me asking Paul, what exactly lead you to conclude that I was a spokesman for American Labor in the first place? I mean, aside from my choice of headgear, what did observe to make you think I was speaking for anyone but me? Did you do anything at all to verify your assumption, or did you simply see a guy in a ball cap express an opinion, and then rush over to his Facebook page to demand answers? Either way, I hope you’ll stick around. Skepticism is welcomed here.